The Faral Vertical Longo cast aluminium radiator provides aesthetically pleasing proportionality and balance as well as the highest heat output you can achieve from any radiator of similiar width. This elegant vertical style of radiator is the most energy efficient low water content radiator available on the market today. 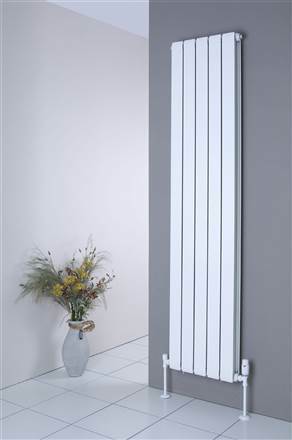 Sophisticated in style, light in weight, easy to handle and install each section of the Faral vertical longo radiator has a width and depth of 80mm.